Memorial Day remembrance on Monday-- all markets are closed. (MarketWatch) Personal income outpaced consumer spending in April, the Commerce Department said Friday. Personal incomes rose a seasonally adjusted 0.4% in April for the second straight month. The gain was in line with economists’ forecasts. Real after-tax incomes rose 0.5% in March, the largest increase since May 2009. Economists say higher income will help make the recovery sustainable. Consumer spending was flat in April. This was weaker than forecast by economists surveyed by MarketWatch. With incomes running faster than spending, the personal savings rate rose to 3.6% of disposable income from 3.1% in March. It was the highest savings rate since January. Inflation was tame. Core inflation rose 1.2% in the past year, the slowest rate since last September. Three hours into the session Fitch downgraded Spain to AA+ with a stable outlook and the markets tanked 1%. Nuts. We added to shares of Ford and BankAmerica on the plunge. After dropping 1.5% on the Spain news the stock markets recovered to down 0.4% but then with 5 minutes to go the program kids dropped the gong and the major measures closed down 1% on the day. Breadth was negative and volume was active. Gold was flat at $1215 as was oil with a $74 handle. European bourses closed lower after being higher at midday. The big boys and girls are in volatility heaven as the markets this week continued their schizophrenic daily up 2% down 2% trading activity. American Eagle met expectations but warned of slightly lower second quarter results. The shares were pounded by short sellers but that selling gave us an opportunity to increase positions at attractive prices yesterday and today. We added Symantec, AT&T and Verizon on Tuesday when the major market measures were down 3% in the morning. Tuesday’s markets opened down 3% and then rallied in the last few hours to close basically changed. That action suggested at least a temporary bottom since the initial down opening represented a 14% correction off the recent highs. Wednesday was up, then neutral, then down in the last hour but this morning the futures are 2% higher as China said overnight that it will continue to buy European bonds and anyone who says it won’t is a ninny. When markets move lower we reevaluate positions and usually sell the weaker to add stronger that have corrected. With this in mind we sold the Ford warrants for a scratchy since we have a good holding in Ford. We also sold Coldwater since earnings come next Tuesday and we have no confidence that CWTR earnings will be any better than Chico’s and AEO both of which were clobbered when they announced. We used the Coldwater money to buy the AEO which is a stronger company. Jobless claims were in line at 460,000. We switched AT&T to Verizon and added Walgreen to the same accounts. We also purchased additional shares of Boston Scientific and Symantec, both of which are on multi year lows. Most European bourses closed up 3% and more. Oil gained $3 to $74.20 and Gold lost $2 to 1212. 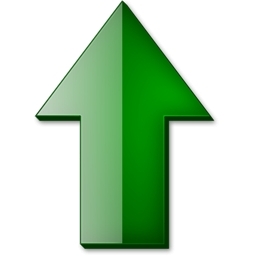 The S&P 500 was up almost 3% with the DJIA up 2% and the NAZZ gaining 4%. Breadth on our screen was all green and 10/1 to the good on the NYSE and volume was moderate as the only fly in the ointment. As an example of how the markets are ruled by program trading-up volume was 25 times down volume. In the good old days of the last century a 10/1 up versus down day 9 or the opposite) was a rare occurrence that usually signaled a trend change. Now it only means that the big boys’ and girls’ computers were pushing stocks higher all day in mindless trading. We will be traveling until next Wednesday night and so our next post will be Thursday May 27. We will of course be paying attention to the markets doings during our sojourn. (Bloomberg) -- Dell Inc., the world’s third-largest personal-computer maker, reported first-quarter gross margins that missed some analysts’ estimates after rising component costs eroded the benefit of a rebound in corporate demand. Gross margin, excluding some items, was 17.6 percent, Dell said today in a statement. That’s below the 17.9 percent anticipated on average by analysts, according to Maynard Um of UBS AG in New York. Dell declined 5.7 percent in extended trading, after the report was released. The higher costs of some components, such as memory chips, cut into profitability for the second-straight quarter even as Dell won new buyers for PCs, which account for more than half of revenue. Dell is working to lessen its dependence on computers by expanding into services, adding smartphones and readying a tablet to take on Apple Inc. and Hewlett-Packard Co.
And it dropped 5% on this excellent news because we ware in that kind of market. The reports focused 0.3% miss on margins as the reason for disappointment. Carried Interest: the big boys and girls only pay 15% tax on their earnings (while every one else in their bracket pays 35%) and are crying over the possibility they may lose it. (NYT) The threat of a tax hike on the fees private equity managers earn moved closer to reality Thursday, as two Democratic lawmakers said they would propose an increase on so-called carried interest paid to executives at private equity firms, hedge funds and other investment partnerships, Bloomberg News reported. General partners at private equity funds, who take a cut of the gains they earn for their investors in the form of “carried interest,” have been paying federal taxes worth only 15 percent of that cut. By contrast, most people in the top tax bracket pay 35 percent on their income — soon to be 39.6 percent. The bill, the American Jobs and Closing Tax Loopholes Act of 2010, would, among other things, increase taxes paid by investment fund managers on carried interest. According to The Hill, under the legislation carried interest for the first 2 years will be taxed at ordinary income and capital gains rates — a 50/50 split, which amounts to a tax rate of roughly 30 percent. That split changes to 75/25 after 2 years, which amounts to a 35 percent rate. The industry was quick to let its displeasure be known. Douglas Lowenstein, president of the Private Equity Council, hit back the proposal. Lawmakers aim to put the proposals, introduced by Senator Max Baucus, chairman of the Senate Finance Committee, and Representative Sander Levin, chairman of the House Ways and Means Committee, to a vote in the House by Friday, Bloomberg said. The Senate voted 59-39 to pass a sweeping overhaul of how the government regulates banks and Wall Street. It will now need to be reconciled with a version passed by the House of Representatives and signed by the president before becoming law. The legislation, in broad terms, is designed to close the regulatory gaps and end the speculative trading practices that contributed to the 2008 financial-market crisis, which prompted federal regulators to engineer a series of taxpayer bailouts of financial institutions. But the financials are happy with the news of the financial bill’s passage and most are higher. Would they be if the Bill had any real reform? Today will be the second gap opening n a row. For the same reason that gaps on the upside have to be filled, so do gaps on the downside. After one half hour of trading this morning’s down gap has been filled, as stocks turned positive for a nanosecond on the games of the HFT big boys and girls. But that still leaves yesterday’s gap up at 1110 on the S&P 500 which is now resistance and was the bottom number on the upside gap of May 10. We repurchased Dell in some accounts $1 lower than we sold it yesterday. And we also repurchased Boston Scientific in some accounts at10% lower than we sold a few weeks ago. University of Illinois trustees voted Thursday to raise tuition 9.5 percent for freshmen on the same day they approved the salary and other compensation for the new president. Incoming president Michael Hogan, is set to earn $620,000 a year up from the picayune $450,000, paid to his predecessor. Stocks are up 1.5% at 11 am after opening almost 1% lower. Today is the first up day –except for May 10- where the volume is as active on an up day as it has been on most the large down days we have been experiencing. That is a positive if the gains hold and of course negative if the gains don’t hold. With the big boys and girls lurking we aren’t spending the gains. Veteran hedge fund strategists were almost unanimous in their warnings of likely worst-case scenarios, and were piling up hoards of cash to withstand any upheavals in the coming months. Their fears, which had been muted in Wall Street's recent spate of hopeful stock rallies, grew louder following yesterday's stock rout that wiped out the year's entire gains in stocks and yanked the lid off a global economic rot underneath. "It's a disaster, to be frank," said one fund chief. "Odds are getting very high for a massive event this summer. There are red flags everywhere you look." Several hedge fund executives said Europe's debt crisis, which is eroding the euro, was just one of many danger zones threatening to drag down the US outlook. Economies of China and Japan also were at the edge of trouble and could get pushed over along with Europe's, they said. "This is going to get worse before it gets better," said one source, who, like most of his colleagues, was reluctant to have such dire outlooks attributed to him. "The world is going through horrendous changes -- it's very difficult to make long-term investments," said Goliath's chief Murphy. Meanwhile, traders raced to place bets to protect their shaky positions, tripling such transactions across all the exchange-traded funds. He repeated his view that the Greek debt crisis was “just the tip of the iceberg,” and that the PIIGS (Portugal, Ireland, Italy, Greece, Spain) problems did not only revolve around excessive debt levels, but a lack of competitiveness and the sharp appreciation of the euro from 2006 – 2008. The Major measures closed on their highs for the day after program shenanigans in the last hour had the DJIA up 50 and down 25 several times before pushing stocks higher in the last fifteen minutes of trading. This mini rally may just be a move to close the gap of yesterday. Action next week will tell. Volume was active and Breadth was very positive. This morning is going to be down with Asia and Europe lower overnight. Oil has $67 handle and U.S. futures look to open lower by 1.5% and tonight and tomorrow are Triple Witching. Hang on. Jobless claims 471,000 which was higher than expected and futures are now down 2%. (NYT) Informants who turn in tax cheats have to wait years to get their share of any reward from the I.R.S.’s recently expanded whistle-blower program. So hedge funds, private equity groups and other big investors are offering an alternative. They are essentially agreeing to buy a percentage of those future payouts in exchange for a smaller amount upfront to the whistle-blowers. European markets dropped sharply as sentiment continued to be hit by concerns about the continent's debt crisis and figures showing an unexpected increase in U.S. jobless claims last week. Oil was down $1.86 at $68.01 and Gold dropped $10 to $1185. We sold Dell ahead of tonight’s earnings since all our stocks have been massacred by earnings even when they were good. High Frequency trading ruled the day but Chico’s closed higher which shows that there are levels that elicit investment. Watching the market all day it looked to us like our stocks would rally if the HFT programs went away. That isn’t going to occur but that is our observation. Meanwhile we are comfortable adding a few shares every day of the now 7 day down turn and will continue to do so. Actually we bought an equal number of Coldwater shares for the Dell we sold which raised cash but also bought a stock we want to hold. It’s tough to weather this type of selling even when we predicted it and we also still believe it is a correction and not a prelude to a crash and so are buying into it. We have plenty of cash left. Stocks closed on their lows with the DJIA down 375 and the S&P 500 down 3.5%. Volume was active and breadth was 100% negative on our screens and 30/1 negative on the NYSE. Thank you program traders. And tomorrow is another day. The gap created by the May 10 Monday 4% higher opening was filled in overnight trading but that just means that the markets are free to do their thing. Without the gap being filled a sustained move to the upside was not possible. The markets are now down 10% from their highs and ideally another 5% to 10% down would revive the fear and loathing that is need to erase the greed and master of the universe mindset that the rally since March 2009 has created. The 200 day moving average on the S&P 500 is 1100 and that is a logical bounce level. (Reuters) - Women's apparel retailer Chico's FAS Inc said its quarterly profit more than doubled, helped by lower markdowns and higher initial markups. Chico's said on Wednesday that net income rose to $35.4 million, or 20 cents per share, in the first quarter ended on May 1 from $14.5 million, or 8 cents per share, a year earlier. The company, operator of the Chico's and White House/Black Market chains, has managed to add more fashionable items for its mature women shoppers and turn around its frumpy image. Chico's said its gross margin increased 1.7 percentage points to 58.5 percent as its outlet stores benefited from selling a higher proportion of made-for-outlet product. Net sales rose to $481.6 million from $410.6 million a year earlier. The Lemley family women gave their approval to Chico’s current offerings over the Mothers’ Day weekend. Chico’s is down 15% on the news and we are adding shares. (MarketWatch) European shares traded sharply lower, with banks hit hard across the continent, while the euro fell to a fresh four-year low following Germany's curb on short-selling. Asia markets also ended broadly lower after the announcement, with exporters that sell their wares in Europe among the biggest fallers as the euro tumbled. Consumer prices in the U.S. fell 0.1% on a seasonally adjusted basis in April as energy, housing, auto and apparel prices declined, the Labor Department reported. The consumer price index is up 2.2% in the past year. The core CPI -- which excludes food and energy prices -- was unchanged in April, lowering the year-over-year increase in core inflation to 0.9%, the lowest rate since January 1966. (The only benefit of a severe recession?) Economists surveyed by MarketWatch had forecast a 0.1% drop in the headline CPI and a 0.1% gain in the core rate. The SEC continues to try and reinvent the wheel when all it has to do is re-impose the uptick rule. But re-imposing the uptick rule would mean that High Frequency Computer Trading would not be possible and that would hurt the big boys and girls and the SEC and NYSE who make money from computer trading as well as Goldman and the other big banks who sell computer platforms for HFT traders to use. The U.S. Securities and Exchange Commission Tuesday proposed a trial of a system intended to head off the kind of chaos Wall Street experienced May 6. SEC Chairwoman Mary Shapiro said a system of individual circuit breakers on all stocks in the Standard & Poor's 500-stock index "would help to limit significant volatility," The New York Times reported. Schapiro told lawmakers on Capitol Hill May 11 regulators were working on establishing a fair process for evaluating trade. The circuit breakers -- which would pause trading in a stock if its price shifts by 10 percent or more within in a 5-minute span -- would be subject to a trial following a 10-day public comment period. The trial would end Dec. 10, the SEC said. The S&P covered the gap in today’s trading on top of the gap coverage in overnight futures trading which is fine with us. We expected this decline and we think it has further to go. But we also think that the stocks we own are good values and we are adding to them as the decline occurs. This is a much needed- and expected by us- correction, not the end of the world. The compute trading exacerbates down moves (and up moves of days gone by) as with Chico’s today where the flash traders are having a field day front running ordinary folks buy/sell orders but at the end of the day or week or month values will be recognized. We are adding gingerly since the big boys and girls are in control of minute to minute and day to day trading. CNBC is interviewing Hedge Fund Honchos at the Hedge Fund Summit in Las Vegas. That is a fitting place for the summit to be held. (MarketWatch) European stock markets closed lower amid uncertainty surrounding the fragility of the euro-zone economy, following the decision of German authorities to ban some forms of speculative trading. Still, the euro bounced off four-year lows late in the session amid talk that European authorities would look to correct these sharp falls. Oil was up $1.75 at $71.45 and Gold lost $23 to $1190. The S&P 500 came back from down 15 points to end down 3. The DJIA was down a bit more but well above its lows. Breadth on the stocks on our machine was negative. We are no longer going to give NYSE breadth because so many non common stocks trade on the NYSE now. Volume was active. And tomorrow is tomorrow. High Frequency Trading and filling customer orders as principal instead of as a broker for commission are two of the reasons Goldman makes a profit every day while its clients loose on 7 of 9 trading ideas for this year. Moreover in Bloomberg article below the CFO of Goldman admits that another reason Goldman makes money every day that is that it interpositions itself between its client as a principal to fill client orders. If Goldman acted as a broker for its clients instead of as a principal it would still make money (but much less) on every trade since it would have to disclose to its clients how much money it was making on the essentially risk free trade. We are printing both articles and pleas take the time to read and become outraged as we are. The important part of the story is that the exchanges –and the SEC- make money from the flash trading. Also called High Frequency Trading (HFT) or “black box trading,” automated program trading uses high-speed computers governed by complex algorithms (instructions to the computer) to analyze data and transact orders in massive quantities at very high speeds. Like the poker player peeking in a mirror to see his opponent’s cards, HFT allows the program trader to peek at major incoming orders and jump in front of them to skim profits off the top. And these large institutional orders are our money -- our pension funds, mutual funds, and 401Ks. When “market making” (matching buyers with sellers) was done strictly by human brokers on the floor of the stock exchange, manipulations and front running were possible but were against the rules, which were strictly enforced. Front running by computer, using complex trading programs, is an entirely different species of fraud. A minor potential for cheating has morphed into a monster. Keiser maintains that computerized front running with HFT has become the principal business of Wall Street and the primary force driving most of the volume on exchanges, contributing not only to a large portion of trading profits but to the manipulation of markets for economic and political ends. “So the computers, having detected via their ‘flash orders’ (which ought to be illegal) that there is a desire for Broadcom shares, start to issue tiny (typically 100 share lots) ‘immediate or cancel’ orders - IOCs - to sell at $26.20. If that order is ‘eaten’ the computer then issues an order at $26.25, then $26.30, then $26.35, then $26.40. When it tries $26.45 it gets no bite and the order is immediately canceled. “Nonsense; there was no ‘real seller’ at any of these prices! This pattern of offering was intended to do one and only one thing -- manipulate the market by discovering what is supposed to be a hidden piece of information -- the other side’s limit price! That could work, but it might take a tax larger than .005% or even .1%. Consider Denninger’s example, in which the high-frequency trader was making not just a few pennies but a full 29 cents per trade and had an opportunity to make this sum on 99,500 shares (100,000 shares less 5 100-lot trades at lesser sums). That’s a $28,855 profit on a $2.63 million trade, not bad for a few milliseconds of work. Imposing a .1% Tobin tax on the $2.63 million would reduce the profit to $26,225, but that’s still a nice return for a trade that takes less time than blinking. A full 1%, on the other hand, would pretty well wipe out the profit and kill the trade. Better yet, however, would be to fix the problem at its source -- the price-setting mechanism itself. Keiser says this could be done by banning HFT and installing his VST computer program in its original design in all the exchanges. The true market price would then be established automatically, foreclosing both human and electronic manipulation. He notes that the shareholders of his former firm have a good claim for voiding out the sale to Cantor Fitzgerald and retrieving the program, since the deal was never consummated and the investors in HSX Holdings have never received a penny for the sale. (Bloomberg) -- Goldman Sachs Group Inc. racked up trading profits for itself every day last quarter. Clients who followed the firm’s investment advice fared far worse. Goldman Sachs’s trading profits come from capturing bid- offer spreads when its traders act as intermediaries for clients, Gary Cohn, the firm’s president and chief operating officer, said last week in New York. Proprietary trading isn’t a main driver of earnings, he said. The trade advice for customers is distributed by Goldman Sachs’s global markets economic research group. It tracks the performance of the trades in a daily research note. The time period of the recommendations is 12 months. The performance this year is a reversal from 2009, when nine of Goldman Sachs’s 11 trading recommendations made money. Investors saw a 22 percent return owning Chinese stocks and a 12 percent gain buying the British pound versus the dollar, according to a Goldman Sachs note on Dec. 1. Goldman Sachs analysts made eight trade recommendations for this year in December, including telling clients to buy the British pound against the New Zealand dollar. On April 1, Goldman Sachs added a ninth “top” trade, telling clients to buy Chinese stocks listed in Hong Kong and predicting the Hang Seng China Enterprises Index would rise 19 percent to 15,000. Since then, the gauge has slid 9.4 percent to 11,426.18. The Shanghai Composite index has entered a bear market, losing about 21 percent this year. That’s the third biggest decline in the world after Greece and Cyprus. The decline accelerated this month on concern Greece, Spain and Portugal will struggle to finance their budget deficits and dismantle the euro. The Chinese stock recommendation was made by a group led by Dominic Wilson, a senior Goldman Sachs economist in New York. Wilson cited inexpensive valuations and “robust” economic growth. He also said investors have already factored in the risk of higher interest rates in China. Wilson wasn’t available to comment because he was out of the office traveling, according to an e-mail. Analysts at Goldman Sachs recommended investors exit two trades in February, one involving interest-rate swap rates in the U.K. and another advising clients to buy credit-default swaps in Spain and sell similar contracts in Ireland. The first trade had a potential loss of 24 basis points and the other had a return of 2.9 percent, according to figures issued in the appendix of the research note in February. Owning currencies that are tied to growth is the only remaining trade that has increased in value this year, according to Goldman Sachs. The Goldman Sachs FX Growth Index has climbed 3.4 percent since the firm made the recommendation in December. Goldman Sachs makes more money from trading than any other Wall Street firm. In the first quarter, the bank’s $7.39 billion in revenue from trading fixed-income, currencies and commodities dwarfed the $5.52 billion made by its closest rival, Charlotte, North Carolina-based Bank of America Corp. In equities, Goldman Sachs’s $2.35 billion in revenue was about 50 percent higher than its nearest competitor. Cohn told investors at a May 11 conference in New York that the firm lost money on only 11 days in the last 12 months. He said that uncanny streak of success refutes suspicions that the bank depends on proprietary bets with its own money. “It is implausible that a proprietary-driven business model could be right 96 percent of the time,” Cohn said. Instead, he said the “simple answer” is that the firm makes money by capturing bid-offer spreads when acting as an intermediary for client trades. Goldman Sachs executives have grappled before with questions about whether they’re better at making money for the firm than for their clients, according to an internal e-mail dated Sept. 26, 2007, that was released by a U.S. Senate subcommittee last month. Unfortunately stocks are going to open higher today as markets around the world have rallied overnight. We say unfortunately because the gap at 1111 needs to be closed before any meaning upside action can occur. Several clients have asked why we have repurchased some stocks after saying we were going away in May. We sold because we expected a correction. The pullback and Crash of May 6 suggests that maybe a correction occurred. The 10% down move from the high was the size of the two previous corrections since the markets rallied off the Mach 2009 low. But the gap up opening on Monday May 10 probably needs to be filled before any substantial rally can occur. Our current scenario is for a rally after the gap is closed into mid June and/or maybe the end of June. We think it will be sufficient to allow us to make a few dollars. If we are wrong and the correction continues, we have plenty of cash to take advantage of a decline. And the stocks we own are stocks we are comfortable owing and adding to. Remember that we are of the opinion that what is occurring is a correction and not the prelude to a Crash. As we wrote yesterday; after a Crash as occurred in 2009 folks look for further Crash every time the markets pullback. The economy is slowly recovering. Times are not wonderful but the reality is that 90% of folks still have jobs and job losses are being offset by job gains for the first time in two years. The market rally had gone too far and a pullback was needed. That is what is occurring. In a perfect world the pullback would amount to 15% to 20% and create enough fear to create a good bottom. That may still occur but for now we think a tradable rally may ensue. This is investing???? And we thought we traded a lot. Over the last decade, these high-tech operators have become sort of a shadow Wall Street — from New Jersey to Kansas City, from Texas to Chicago. Depending on whose estimates you believe, high-frequency traders account for 40 to 70 percent of all trading on every stock market in the country. Some of the biggest players trade more than a billion shares a day. Housing starts rose to 672,000 in April, after being revised up again for the previous month. This follows a relatively upbeat report from home builders yesterday, and a fairly dramatic drawdown in the level of inventories. Indeed, the actual stock of new homes on the market is now at its lowest level since the 1970s. The extension of homebuyer tax credits to April 30, 2010, record-low mortgage rates and large tax refunds to beleaguered builders contributed to the gains. That said, it is important to put these numbers into perspective. Starts were running above two million units during the boom, and demographic trends - which suggest starts - should be closer to 1.3 million units per year (i.e., the level of activity is still exceedingly low). More importantly, momentum in the housing market appears to be abating, as permits plummeted more than 11 percent, suggesting that there is little in the pipeline to keep this housing market humming now that the tax credits have expired. 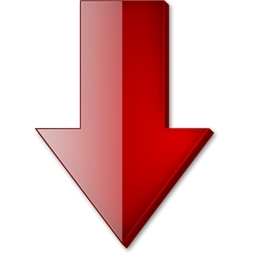 Separately, the Producer Price Index (PPI) dropped 0.1% in April, mostly on a decline in energy prices. Embedded in the decline was also a drop in food prices - mostly fresh and dry vegetables - which is the first drop since July 2009. The Bottom Line: The recovery continues but remains on fragile ground, particularly in housing - the sector that got us into trouble in the first place. Moreover, inflationary pressures remain extremely contained, which we will see further validated in tomorrow's release of the Consumer Price Index (CPI) data. This, coupled with the slowdown in growth that will no doubt result from the recent turmoil in Europe, will keep the Fed from raising rates well into 2011, and could even prompt additional quantitative easing in the near-term, as the Fed moves to keep financial markets stable. After an hour of trading the markets look to be rolling over after opening almost 1% higher. That is good since more downside work is needed. Ok kids, the DJIA is popping up 20 and down 50 every 15 minutes as the computer geeks play their games. Allowing this type of trading is as bad as removing the uptick rule and we all know where that led to in late 2008 and early 2009. (Bloomberg) -- Germany’s BaFin financial-services regulator said that it will introduce a temporary ban on naked short-selling and naked credit-default swaps of euro-area government bonds starting at midnight. The ban will also apply to naked short selling in shares of 10 banks and insurers that will last until March 31, 2011, BaFin said today in an e-mailed statement. The move came as Chancellor Angela Merkel’s coalition seeks to build momentum on financial-market regulation with lower- house lawmakers due to begin debating a bill tomorrow authorizing Germany’s contribution to a $1 trillion bailout plan to backstop the euro. Merkel said earlier today that she will press the Group of 20 to bring in a financial transactions tax. BaFin named Allianz SE, Deutsche Bank AG, Commerzbank AG, Deutsche Boerse AG, Deutsche Postbank AG, Muenchener Rueckversicherungs AG, Hannover Rueckversicherungs AG, Generali Deutschland Holding AG, MLP AG and Aareal Bank AG. Europe closed higher as did Asia. Oil had been up $2 but ended down at under $70 while Gold lost $5 to 1223. The euro/dollar gave up its gains as U.S. stocks skidded and closed on a four year low. The DJIA lost 1% and the S&P 500 closed down 1.5%. It should close the less than 1% of the gap remaining tomorrow morning – if it doesn’t do so in overnight trading- and then... Breath was 3/1 negative and volume was brisk. The computers trade in and out of individual stocks, indexes and exchange-traded funds, or E.T.F.’s, all day long. Mr. Narang, for the most part, has no idea which stocks Tradeworx is buying or selling. Showing a computer chart to a visitor, Mr. Narang zeroes in on one stock that had recently been a winner for the firm. Which stock? Mr. Narang clicks on the chart to bring up the ticker symbol: NETL. What’s that? Mr. Narang clicks a few more times and answers slowly: “NetLogic Microsystems.” He shrugs. “Never heard of it,” he says. U.S. futures are higher this morning after trading lower overnight. Down this morning would be better than up but Mrs. Market makes her own decisions. China was 5% lower overnight supposedly on fears that the government has pressed to hard on the housing brakes. European bourses are higher and that may be why U.S. markets are higher. We don’t think the optimism will last through the first hour of trading. There is more work on the downside before a real rally will begin. The euro is at $1.23, a four year low against the dollar. We don’t understand the market’s consternation with the dollar gaining against the euro. Our thought is that the gain is occurring because the big boys and girls are piling into a lower euro trade as it is the only place where they can put a lot of money to work with great liquidity. When the euro was initiated it traded at $0.75 to the dollar and moved up over the next eight years to a premium of one euro equaling $1.50. The nature of markets suggests that at some point the euro has to retrace its upward move. We now there are economic ramifications for U.S. companies that do a large European business s but we thought that is why the banks created all the wonderful currency hedging derivatives for companies to use- silly us. Financial writers have to write stuff every day to sell papers and to get folks to watch their programs. Cable and radio talking heads have to say stuff every day and negative talk draws an audience of usually over 65 folks with nothing better to do. Negative news sells. Traders have to trade and they talk their books. If the easy trade is to the downside they talk the downside up. Every crash is followed by years of predicting a further crash by the folks who didn’t see the first one coming. Markets that rally 80% from their lows with only three 9% corrections probably need a greater one and some real drama before they can resume their climb. The economy is recovering but not in a manner that makes the news encouraging. Moreover the tenor of the current media circus is to stress the negative at the expense of the positive. The world is not ending. And the markets are experiencing a normal correction. For a correction to work fear needs to be created. General Motors made $865 million in the first quarter as strengthening sales and savings won through bankruptcy helped drive to auto maker to its first quarterly profit since 2007. The results compare to a year earlier, when GM lost $6 billion as it slid into bankruptcy. GM made an operating profit of $1.2 billion and generated $1 billion in cash. Global revenue grew 40% from a year ago to $31.5 billion, as the auto maker increased production 57% world-wide from a year ago. On one of our market websites we read that more money managers than ever now own gold. That makes a lot of sense (NOT!) since gold is at an all time high and has doubled in price in the last five years. Of course CNBC is spending the day talking about gold as an investment. Since money managers only have 2% to 5% of their assets in gold we wonder their thought process. If they think gold is going to double in the next few years then they should have a lot more of their assets in gold in order to have any effect on their portfolios. But if they really think gold is going to double they probably should be eliminating equities since the only way gold will double quickly is if the markets crash. Decisions, decisions. Most of us head the vending machine when we want a soda or a candy bar. But if you're rich in Abu Dhabi, you may use it in a whole new way - to get gold. The Emirates Palace Hotel in Abu Dhabi has installed "gold to go, the world's first gold vending machine," according to a statement from the German company that makes the machines, Ex Oriente Lux AG. Not only does the machine dispense gold, it's exterior is plated in gold. "In addition to one-gram, five-gram and 10-gram bars of gold, the machine also dispenses gold coins," the statement read. Because the price of gold is constantly rising and falling, the machine updates the rates constantly. "This eliminates the risk premiums usually associated with precious metal trading," the company said. On Crash day May 6 the S&P 500 closed at 1128. On Friday May 7 the S&P 500 closed at 1110. On Monday May 9 the S&P gapped higher by 4% and the reaction down since last Thursday is the process of closing that gap. After opening higher stocks reversed after 9 AM and are trading down 1.5% at 11:30 AM with the S&P 500 at 1120. Another 1% down will do the trick. Crude futures fell to their lowest level this year on Monday, hit by doubts about future oil demand amid fears about the pace of the global economic recovery. Light, sweet crude for June delivery settled $1.55, or 2.2%, lower at $70.06 a barrel on the New York Mercantile Exchange. European markets ended little changed as the day's gains evaporated, while ongoing fears about the euro zone's economic growth prospects sent the euro to a four-year low against the dollar. Gold was down $4 at $1223. The DJIA was up 40, down 180, down 40, down 90, up 20, down 30 and closed up 10. The S&P 500 rose 1 to 1135. The NAZZ gained 5. It would be nice (but with today’s close it doesn’t look probable) if there would be a downside move Tuesday morning to touch the 1110 number since if there isn’t the S&P 500 may have to revisit that level in the future and any rally will be suspect. Breadth was 3/1 negative on the NYSE and 5/4 negative on the NAZZ and volume was moderate. It’s a good thing nothing eventful occurred in the markets while we were away. When we left the only positions we owned in accounts were Ford warrants. Those acted well for three days and we were masters of the universe. But, instead of taking our singles victory, we deduced that a home run was in the cards when earnings would be reported. Oops, no home run and we were lucky to exit the warrants with a manageable scratch to minor loss. Of course we were comforted to be in cash when the Thursday 10% Crash and mini recovery occurred. The reasons for the Crash are confusing but it had something to do with computer trading. The total down from April’s top of 11% is most of what we were looking for over the next few months. 10% is the most of any corrections since the rally began in March 2009. Because of the rally back our thoughts upon returning were to buy some of the companies we sold 15% to 25 % higher a month ago. Unfortunately there was a 4% gap created by Monday’s huge rally that may eventually be filled. We thought there would be a tradable rally before that gap fill occurred. Pre-market and overseas trading this Friday morning coupled with yesterday’s action suggests that some traders want that gap to be filled in the next few days. Moreover a large down day today will set up talk of a Monday Crash and there are no Big Wig Meetings scheduled in Europe this week end to give traders a bullish hat to wear Monday morning. Trader talk is concentrating on the arguments Germany and France are having over the euro. Some feuds never die. With the markets in such flux we are going to be quick on the trigger as we try to negotiate the minefields while reestablishing positions in stocks we want to own and trade and so we are going to sell some of yesterday’s purchases to get most accounts back to a 30% invested posture. The stocks we are selling are the ones we bought for a 10% or less move and the extra cash will give us comfort. As in all volatile periods flexibility is the watchword. Nvidia reported better-than-expected results, but the graphics chipmaker's sales forecast for the current quarter was below Wall Street's target, and shares fell 3 in extended trading on Thursday. For the July quarter, Nvidia forecast that revenue would fall 3 to 5 percent from the previous period, implying sales of $950 million to $970 million. That compares with Wall Street's estimate for revenue of $990 million. Nvidia forecast gross margins of 46 percent to 47 percent, which was above the consensus target of 45 percent. We added more shares. U.S. retail sales rose a seasonally adjusted 0.4% to $366.4 billion in April, the seventh straight increase and the 12th gain in the past 13 months, led by strong sales at hardware stores and garden centers, the Commerce Department estimated Friday. Industrial production surged 0.8% in April after rising only 0.2% in March. Gains were fairly broad-based as firms worked to replenish inventories, repair and replace dilapidated equipment and respond to strong export demand. Revisions since the start of the year show that the rebound in production was slightly weaker than initially reported. The more pertinent question is what the recent turmoil in Europe will mean for exports - which are a critical component of the lackluster recovery. The direct effect on exports to Europe is expected to be small, as we are now relying more on demand from the developing economies than Europe for our equipment - largely construction equipment. The issue there is that the recent strength in the value of the dollar is undermining our competitiveness relative to Europe. The only good news is that lags in changes in the dollar and how they affect exports are extremely long - 1-to-2 years - and the worst of the dampening effect that a stronger dollar will have on exports is not likely to occur until late 2011, when the recovery is (hopefully) on stronger footing. The Bottom Line: Manufacturing activity has picked up from the excessively-low levels experienced during the recession, and momentum appears to be building. That said, it will still take a very long time for us to return to pre-recession highs. Moreover, there is still a lot of idled capacity and most producers remain reluctant to bring too much back online until they feel more certain about the durability of the recovery. Retails sales rose 0.4% in April - slightly better than expected - after surging an upwardly-revised 2.1% in March. The slowdown in spending in the wake of the Easter holiday was pronounced, with apparel sales actually declining on a month-to-month basis. The biggest surprise in today's report came in vehicle and parts sales, which increased on a dollar basis despite a reported decline on a unit volume basis. This typically means that sales to consumers were stronger than sales to businesses, which are not included in the retail sales data. It also suggests that the vehicles sold were at the higher end of the market, which is consistent with other data showing some comeback in spending at the luxury end of the market, and the inability of middle-income buyers to get financing in this environment (i.e., the bulk of vehicle sales are now concentrated among the highest income earners, who either can qualify for the limited financing available or can pay cash for their cars; a similar phenomenon is occurring in the housing market). Another point of interest includes online sales, which continue to grow as a share of the total, but are highly sensitive to changes in the weather and gasoline prices. People are much more eager to shop online when the weather is bad and gas prices are high. Later today, the preliminary survey of consumer sentiment is scheduled to be released. In general, the index is expected to continue to gradually improve on the heels of a slightly better jobs outlook. Anecdotal reports suggest that new college grads are starting to get more offers and, earlier in the week, small businesses showed some signs of thawing in their plans to hire - which plays a critical role in generating jobs in the economy. The Bottom Line: Consumers are spending again, but with caution. Moreover, the spending they are doing is being supported by a reduction in saving, pent-up demand among high-income households and extensions to unemployment insurance. Going forward, a return of salary raises, moderate employment gains and a reinstatement of bonuses will keep consumer spending up, but without access to credit, we can't expect consumers to be the Atlas they once were for the U.S. and the rest of the world. The 200 day moving average on the S&P 500 is at 1100. With the S&P 500 at 1135 traders have an eye on that level as the place to test? That is 3% lower for an S&P 500 that is already down 2% today but it looks like the big boys and girls want to move us a lot lower before the close. To fill the gap the S&P 500 has to go to 1110 which is last Friday’s close. Volume is much greater on down days than up days. That is not good news for the bulls. Oil ended under $72 while Gold was $1223. The euro ended at $1.23 o its way to parity with the dollar. Well so much for our first day back. Programmers brought the DJIA back 1% in the final hour but the major stock measures still closed almost 2% and more lower in active trading. Breadth was 8/1 negative. Monday should be interesting. We don’t see a 2009 crash in the cards but there looks like there is more work to do on the downside. These corrections-and rallies- are becoming more compressed in time as the big boys and girls play their games. We are just trying to survive and profit without being flattened by their programs. Note from Bud: We are still 100% cash.